Our mission is to create, sustain and grow a community of yoga practitioners in the greater lake country area while offering high quality knowledge and instruction from exceptional and highly educated teachers. 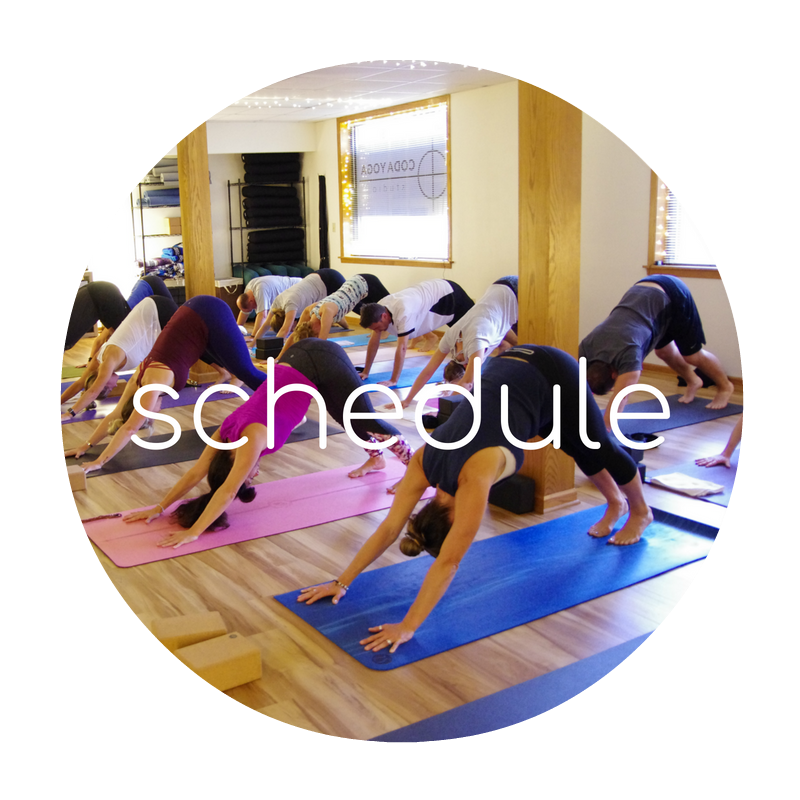 Take a peak at our weekly schedule and sign up for your classes! Learn more about our studio, our classes, and sign up for our New Student Intro Pass - $10 for 10 days of unlimited yoga! Grab anything needed for practice, silence your mobile devices, and relax before practice! It's a mirror-free, judgement free, competition-free space, so enjoy the you-time! We give ourselves a few minutes of guided rest at the end of class - it's the best part! We'll check in with you after practice to see how you feel and answer any questions you may have! We look forward to having you on the mat and sharing this practice with you! We have a small lot directly behind the building where parking is permitted. Parking is not permitted in the adjacent building lot. Additional parking located in the municipal lot across the street and on side streets.